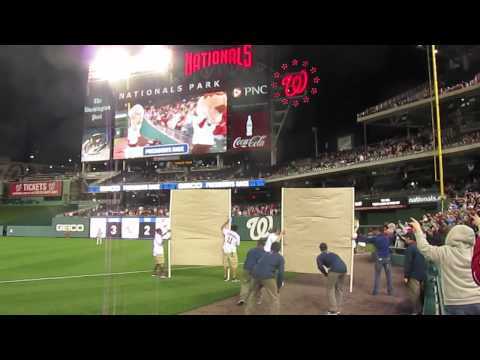 We’ve covered the Racing Presidents from Nationals Park a time or two here. Hell, some of us have even climbed in the suit for corny features. 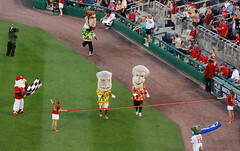 Through all of that, I’ll admit that one of the most fun conversations I’ve had has been about when it would be time to expand the Racing Presidents with a new theme of mascots that aren’t sharing Mount Rushmore. Modern day presidents? The forgettable ones? How about one of the most memorable of the 20th century, like JFK? Could it be that this last one may be happening? By the way, the well would have run deep with slightly uncomfortable jokes any time he fell during a race. Maybe it’s for the best.